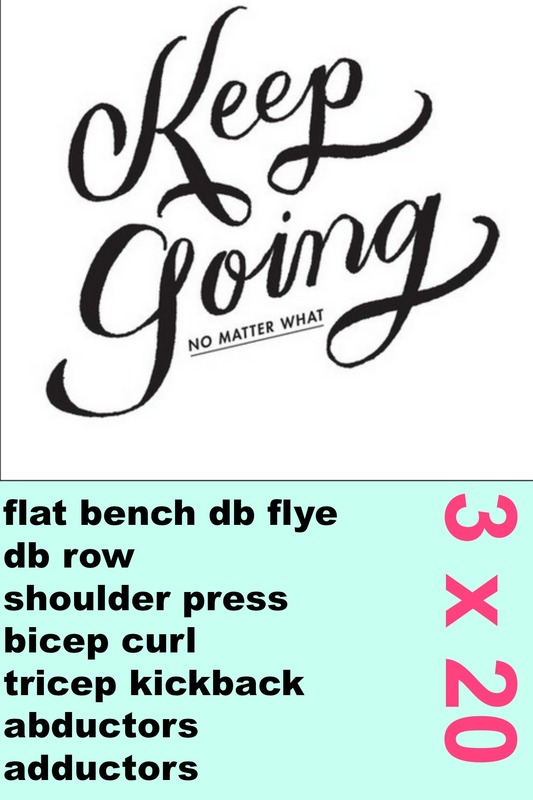 Here’s A Couple Dumbbell Workouts! One of the best things I ever invested in for working out at home is a pair of dumbbells. I got them on sale, and they came with 2 “bars” and then 4 x 7.5 weights and 4 x 2.5 weights. The most I lift is about 20 lbs (unless I’m doing sumo squats) so these are perfect, as each dumbbell will be 20lbs. So I’ve been creating and thinking up full body workouts to do at home. These are great for days when I’m too lazy to drive 20 minutes to the gym, or when I’m short on time (after working a 12 hour shift). Sorry the graphics are kind of lame, I’m still working on that aspect of the blog!